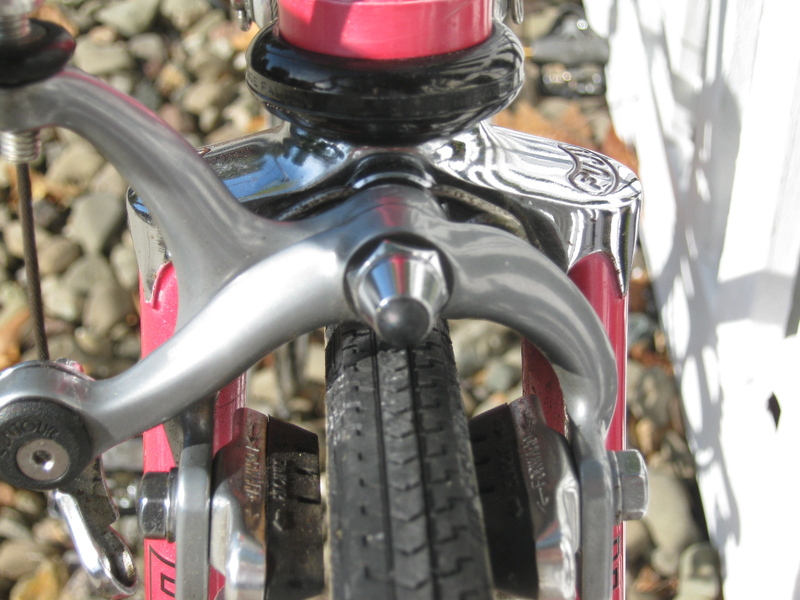 HONK if your 10-Speed has flunked geometry! 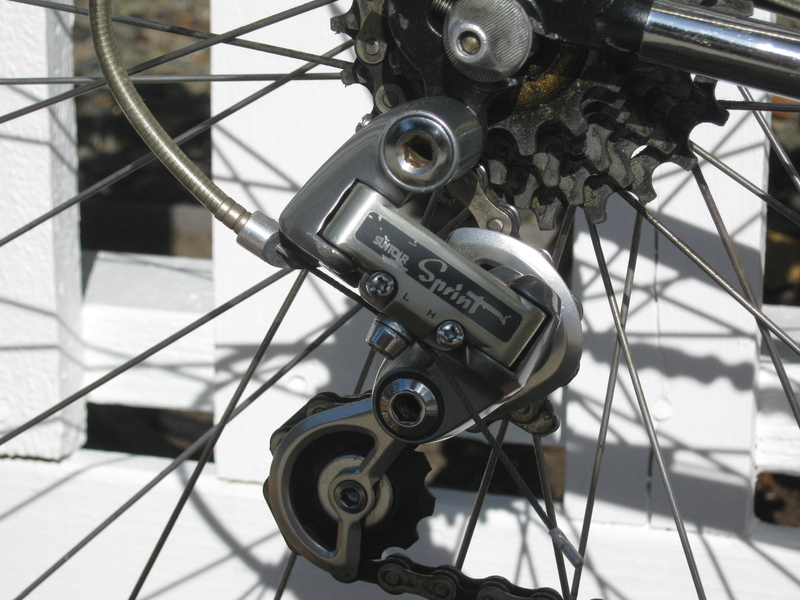 Today’s entry comes to us from DocSprocket. 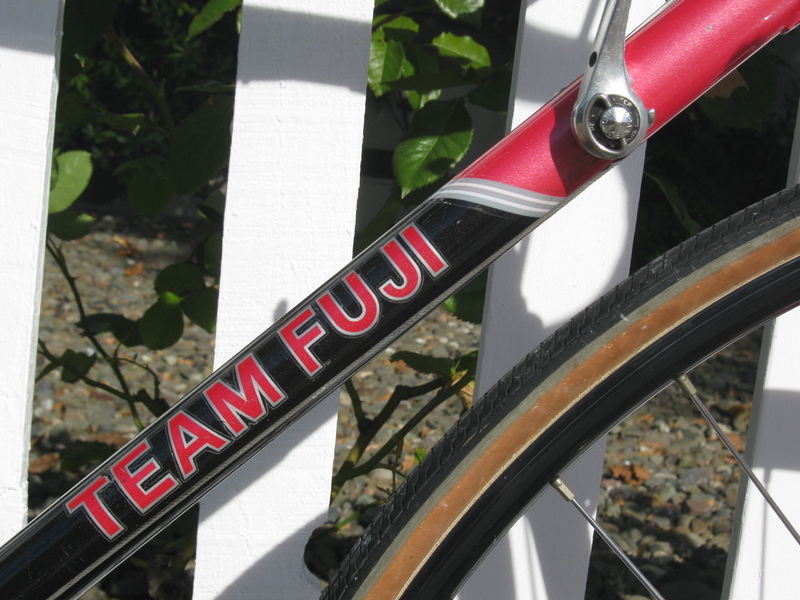 A near mint, 1986 Fuji Team Fuji. 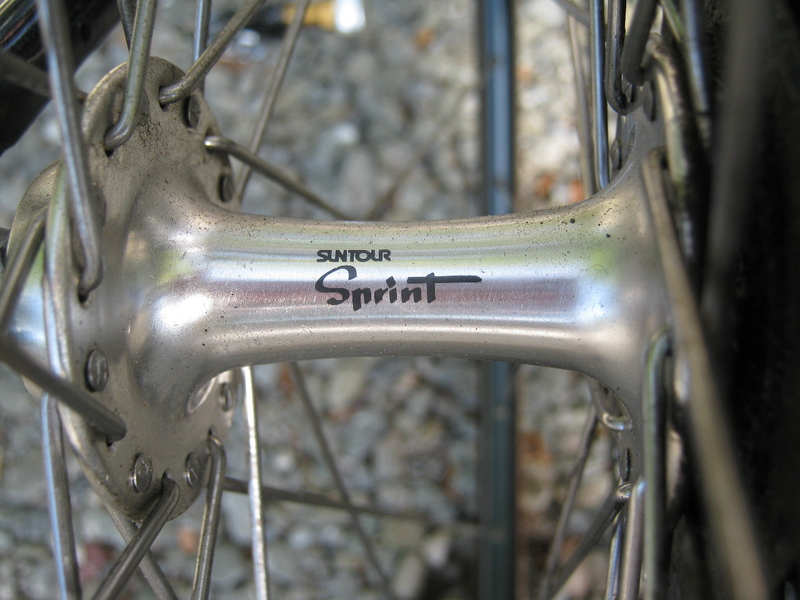 Full SunTour Sprint group and the chromed pantographed fork lugs – Drool! 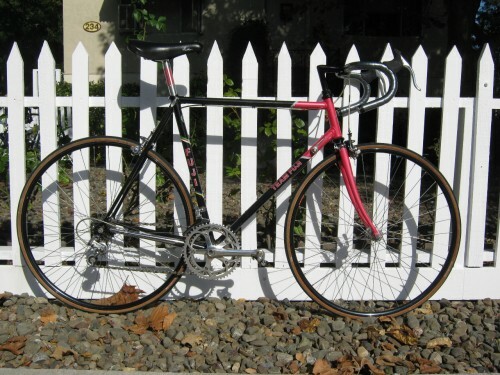 Hey, how come my 1986 Fuji doesn’t look like that!?! Could it be mine was on the lower end of the pecking order for “86? That is stunning, love the chromed detailing on it…and nearly mint to boot! 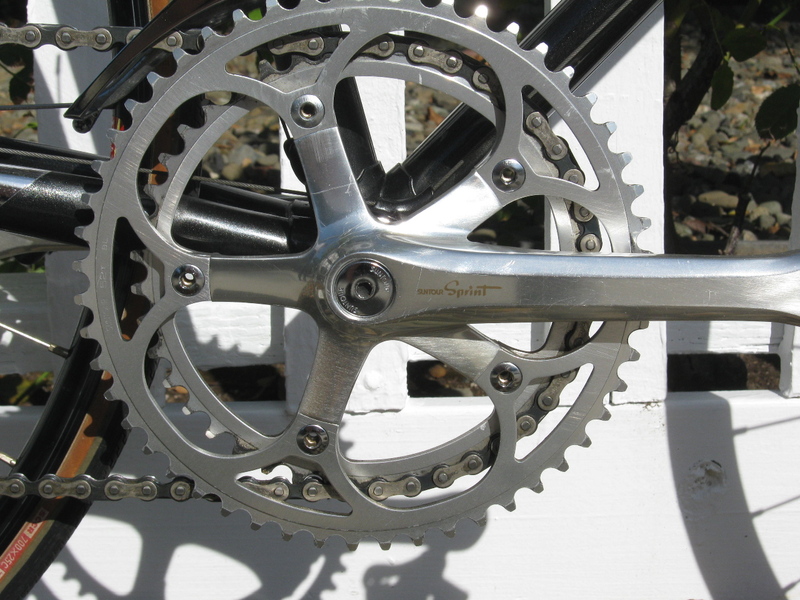 Question: What type of tubing was used on the frame and is it a 12 speed? Thank you, Doc…for the info/catalog page. Both bikes were/are beautiful, with their different color schemes. It would have been very difficult having to decide between the two. Darnit, I miss the 80’s! …in a garage hanging from the rafters, and my guess..just waiting for you? Absolutely amazing the nice rides out there collecting nothing but dust. Looks like 105 throughout, and nearly mint. LET’S BRING BACK THE 80’S. just a thought: the zoom in and out function when submitting images when we post here as opposed to the original pictures that we send directly to OTS…I wonder if it would be so hard to utilize this same function when viewing original photos? That would be killer, Cameron? But I wasn’t a cyclist yet. So…I don’t know. I know I like that Fuji, though, Doc. Aaaah, let’s see…in the early 80’s I was still removing braincells without surgery. My bad! I don’t know how he does it, that Docsprocket must be part magician. Pulling finds like that out of his hat. I have always loved these. Fuji and Panasonic were always my favorite Japanese brands back in the eighties. I’ve got the same bike! 1986 Team Fuji, in great shape, except for an ugly ding in the top tube. Oh well, it’s steel, so it’ll be just fine! 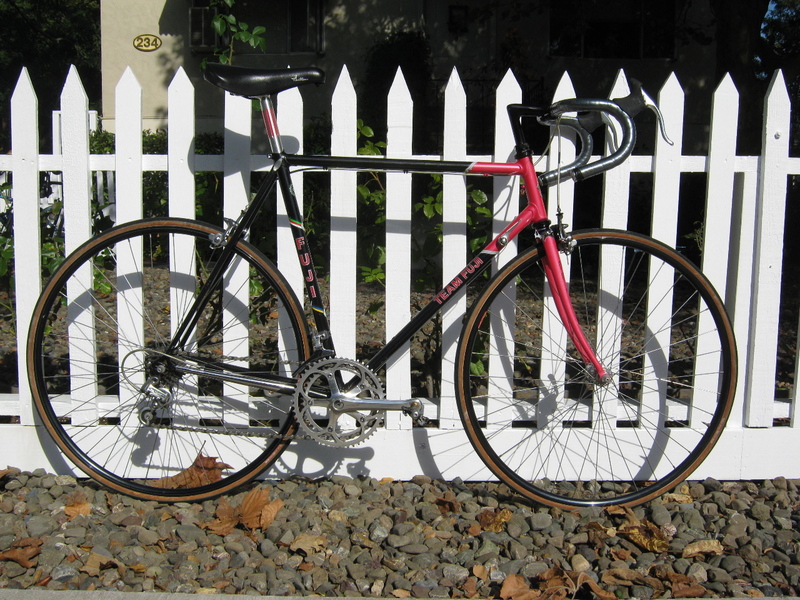 A previous owner replaced the bars with a modern set of Ritchey’s, and I threw tires, a new saddle and rear freewheel on. But really, it looks good. 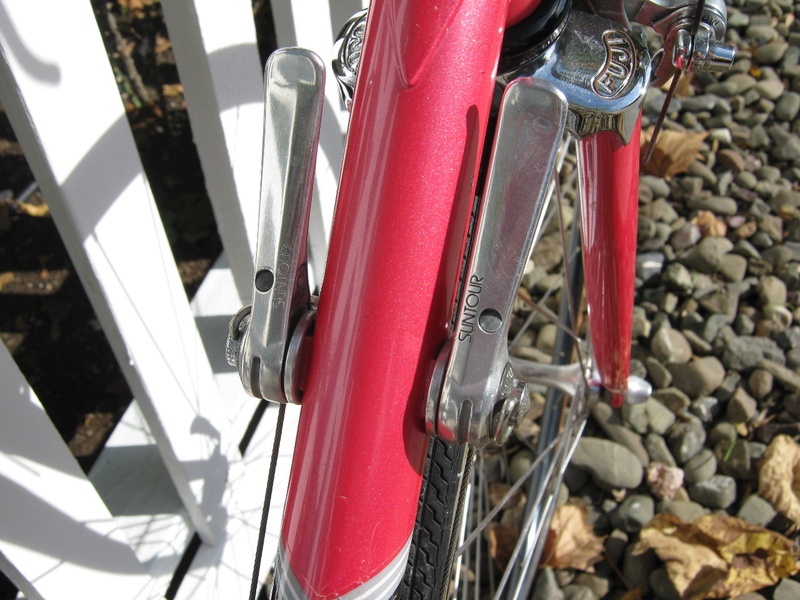 yeah i really love the old steel bikes. I recently acquired a project bike for a client.